History is best enjoyed in silence and with a hot cup of coffee. Ra Ki Rangarajan’s, Naan Krishnadevarayan, translated to English by Suganthy Krishnamachari as I, Krishnadevaraya lies on the table. CHENNAI:History is best enjoyed in silence and with a hot cup of coffee. Ra Ki Rangarajan’s, Naan Krishnadevarayan, translated to English by Suganthy Krishnamachari as I, Krishnadevaraya lies on the table. Crippled by a limited proficiency in reading Tamil, the prospect of discovering one of the literary stalwart’s best works is a promising start. As we begin, we are introduced to Krishnan, a simple man trying to understand the paradox of extravagance and futility in the world around him. We expected to be greeted by the grandeur of the Vijayanagara empire in the book, but we were pleasantly surprised at the simplicity of one of its most iconic faces. We are introduced to a man hopelessly smitten by a beautiful maiden he saw dancing at the Vittala temple, seeking his mother’s advice in the matter and grappling with the distractions this infatuation is posing to his royal duties. 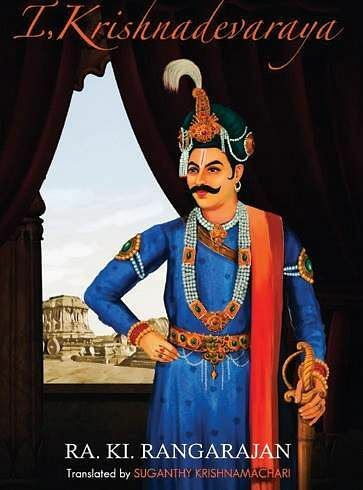 Subsequently, through the 396 pages, we are taken on a journey of love and ambition, unravelling the man that is Krishnadevaraya — a king, a lover and a man of principle. Drawing from a variety of sources including Krishnadevaraya’s own Amukta Maalyada, historians and friends in the Archaeological Survey of India, the book offers a passionate love story set against life in the kingdom. Popularly known as Ra Ki, the author’s wish to see his piece translated into English bore fruit five years after his demise. 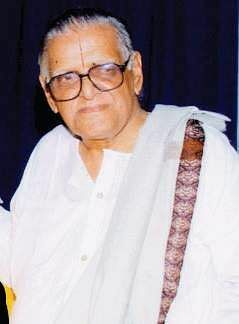 A seasoned Tamil journalist and a brilliant writer, the man wrote under 10 pen names with a repertoire ranging from historical novels and love stories to occult tales. In his book, Ra Ki credits Kamal Haassan for giving him the idea to write this book, when the actor handed him a copy of Robert Graves’ I, Claudius, and asked him to translate it to Tamil. The first-person narrative of the book inspired Ra Ki to use the style, albeit on a figure closer home. Most of us know Krishnadevaraya as an imposing king, known for his kindness and liberal thinking, and also for the beauty of the empire and the relics left behind for posterity. Here, we are acquainted with a man of doubt and conviction, a man stripped of his mythical aura — the human being behind the emperor. Ra Ki’s essence finds itself nestled comfortably in Suganthy Krishnamachari’s translation. “When I just started translating, I was afraid I might not do justice to the novel. The first step is always the most difficult but when the first chapter was done, everything came together perfectly,” avers Suganthy. I, Krishnadevaraya isn’t the writer’s first attempt at translation. Sujatha’s Nylon Kayiru (Nylon rope) made it to her table before the former. 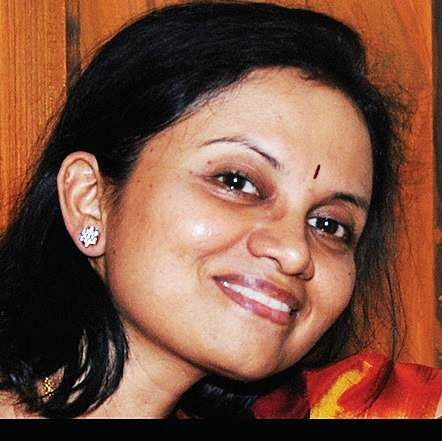 “I had to completely get out of a style of writing to get into another as far as Sujatha’s and Ra Ki’s books are concerned, because Sujatha’s novel is set in the 20th Century. He is a very tech savvy person; so he got all the technical details right and the murder was perfectly done. How the police officer unravels the mystery and how the plot falls into place is what Nylon Kayiru is about. Ra Ki’s work is a different brand of racy, because you have the palace intrigues and political tussles all intertwined within a love story,” she explains. Translating is no child’s play as you stand the risk of losing the essence of the author’s originally intended meaning. “Certain words and modes of addressing people (atthai, chitthi, periya and amma) don’t have equivalents in English. We have references and footnotes for the same, but these are things you need to be careful about,” cautions the writer, who writes regularly for a popular daily in the city. A stickler for time, Suganthy prefers to keep time set aside for all her responsibilities only to do justice to all. “I have time allocated for reading, a walk, my chores, writing, translation and cooking,” she smiles. Working on the translation of a historical piece on Tamil Nadu’s tryst with the East India Company, Suganthy doesn’t eliminate the possibility of publishing a book of her own. “I’d like to write a historical novel in English,” she smiles.